It doesn't take film school or expensive, high-tech equipment to make a brilliant-and marketable-movie today, says successful maverick producer Dean Silvers. For aspiring filmmakers, it's easier than ever to produce-and sell-their work. 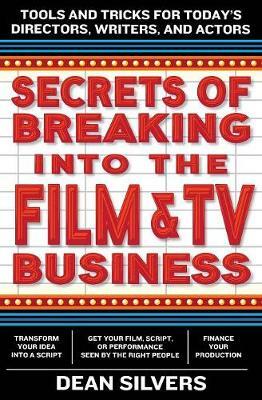 Secrets of Breaking into the Film and TV Business is packed with concrete, proven advice to help you follow in the footsteps of today's cinematic giants, many of whom broke out with runaway independent successes. Drawing from his own experience as a filmmaker, Silvers offers essential tips and a wealth of invaluable knowledge about every aspect of the moviemaking business, from Internet shorts to how to adapt, option, and collaborate on feature-length films (with shoestring budgets).